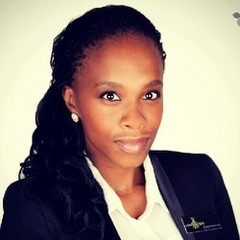 Mbali Nwoko is an alumna of the University of Johannesburg and she studied for a BCom in industrial Psychology. She left her recruitment career in 2016 and started her agribusiness – Green Terrace. In a short space of 2 years, her farm supplies high value vegetable crops to leading retailers and food processing companies in South Africa. In 2017, her company was a finalist in the Sage small business awards. 1. From majoring in industrial psychology to agribusiness, how did this change come about considering these are completely different fields? My diversion into the agri industry was not premeditated. It happened as a result of a sudden exposition into the industry by a mutual friend and the idea caught my interest and I developed a passion for it. It hasn’t been easy, but at least I have received a lot of support from my family. 2. You founded Green Terrace Pty Ltd in 2016, and already you are a fully operating business, what are some of the business strategies you have applied to jump start your business venture? The strategy was to identify and specialize in the production of specific high value crops which were of high demand. We also wanted to position ourselves by selling directly to the retailers and processing companies because of the premium prices they were prepared to pay for these products. This is how we have been able to grow the business from inception till today. 3. Green Terrace currently farms greens (Baby Marrow, Green peppers, Spinach and Green Beans), why did you choose these produce in particular? Spinach was part of our crop mix when we started because of an existing compelling demand for it, however in line with our strategy; we have limited our crops to just Baby Marrows and Green Beans because of the success we have made in respect to cultivating these crops, producing quality and receiving a premium price for them. That is how we have grown from each different crop understanding what works best on our land. In a nutshell, we tried and tested different crops until we found the crops that worked for us. 4. Within two years of operating your business you have managed to partner with big retailers in the food market space e.g. food Lover’s market, Pick n Pay etc. How did you get this right? There was no secret formula to acquiring these clients. I had simply approached them directly, presented our business case to them and our crops (which happened to meet their quality standards) and the rest was history. Yes, it is a lot of work behind the scenes because you need to understand how many volumes you need to produce and supply per week, so that by the time you meet with the buyers you are able to answer all their questions. All that the procurement team cares about is the quality of your produce, the consistency in which you are able to deliver your produce and the price. You need to know your story, prior to approaching the buyers/procurement team, of any of these established markets. 5. How difficult is it for a small scale farmer to obtain GAP certification (Good Agricultural Practices) in the South African agricultural sector and how does it obstruct a business’ growth if not acquired? GAP is a global thing and GAP certification entails maintaining specified high quality farming standards, intensive record keeping of activities on the farm, governance and controls in the use of chemicals and fertilizers – these actions are not difficult to be put in place or to abide by, but may be overwhelming for a small scale farmer with limited resources. So, not having the certification may sometimes limit you in supplying directly to some local and export markets, but will not inhibit you from succeeding as a farmer. However, most established markets such as the retailers have been accommodating in getting emerging farmers onto their value chain without GAP certification. Whilst we are able to enjoy this small window of opportunity, it’s not likely to last long, as retailers are also mandated to procure from suppliers that have the certification and adhere to food safety standards as well. 6. For a small scale farmer really struggling commercializing their business, which courses can they invest in to help them grow their business? Any business management or entrepreneurship course will do. There is an abundance of online materials (masterclasses, tutorials, webinars etc.) that one can access and learn in hope to commercialize their business. I think the basic entrepreneurial courses or business management courses will do. Courses such as these will cover a number of subjects from marketing, finance, business strategy, operations to production. These courses do not necessarily have to be from an institution; however there are a lot of basic online courses/tutorials on how to grow your business from start- up to a commercial business. Spend time online and research information on how to market & position yourself in your industry. 7. Farming is traditionally known as a sector for the older generation, what policies do you reckon African governments should implement to make this lucrative sector attractive to young people? Education is a priority. If government can be focused on academic programs that position agriculture as an alternative career opportunity for the youth, highlighting the specific gains that can be made within agriculture supported by government financing, subsidies, the right technical support and market opportunities (local and international), are examples that can attract youth to farming. We just need to put more emphasis on farming as a career opportunity as much as we put emphasis on wanting our youth to become the future engineers, doctors, pilots, tech professionals etc. 8. If you had to choose between stilettos and really fancy farming boots, which would you choose? Both, the reason for this is because I’m a farmer on the field as well as a farmer in the boardroom.